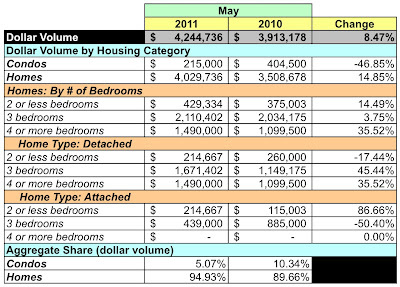 This week I look at May's closed sales for zip code 20018 using data provided by MRIS and RBI. 20018 is bordered by the District line on the east, New York Avenue NE on the south, and Michigan Ave NE / 17th Street NE / 16th Street NE on the west. 20018 is home to the Brentwood, Langdon, and Port Lincoln neighborhoods. Aggregate dollar volume was up 8.47% over the same month in 2010. Unit sales fell 6.25%. The average price for a home rose 15.7% and the median price was up 8.6%. Two of the units sold were bank-mediated sales. One condo sold for $215K. The median price for the bank-mediated sales was $192,500. The average price for a house was $287,838. No house sold for more than $600K. 20018 represents 1.31% of May's dollar volume and 2.43% of the units sold. Its average price is 46.28% lower than the District's, its median price is 39.85% lower. At May's sales rate there's a 8 months supply of condos and a 3.85 months supply of houses in 20018. There were only 8 active condo listings during May, all priced lower than $300K. Of the 54 houses with active listings, the attached houses top out at $500K and 30 of the 38 listed detached houses are priced below $400K. According to MRIS, properties in 20018 sold for 87% of the listing price. Looking forward, 18 homes went under contract in May and another 9 had contingent sale contracts. The data show that detached and attached houses dominate the market in 20018; few condos have been sold during the past twelve months. 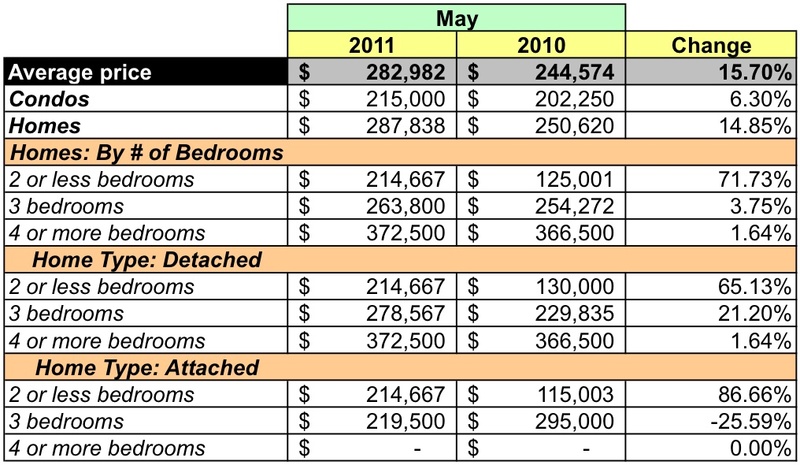 The average price for a house with 3 or more bedrooms has been less than $480K for the past twelve months.